This prestigious location is also home to Lithium Australia NL (ASX:LIT), which is developing disruptive technologies for the sustainable and ethical production of battery materials. LIT specialises in the process development of waste materials, including lithium micas. While the company considers the lithium fields highly promising, it has also identified prospective regions in Europe – including a maiden lithium Resource in Germany, on the doorstop of the EU automotive industry. As the company revealed to the market this morning, LIT has been making excellent progress across its tech and resource development business streams. It should be noted LIT remains a speculative stock, so investors should seek professional financial advice if considering this stock for their portfolio. 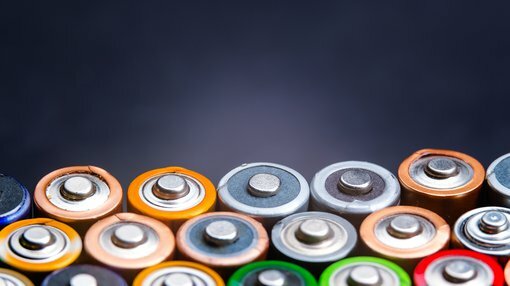 In conjunction with CPC Project Design and ANSTO Minerals (a division of the Australian Nuclear Science and Technology Organisation), LIT anticipates completion of its FEED study during the September 2018 quarter. Location trade-off evaluations are currently afoot in conjunction with this study. LIT has identified a number of lithium mica occurrences as potential feed sources for the LSPP. 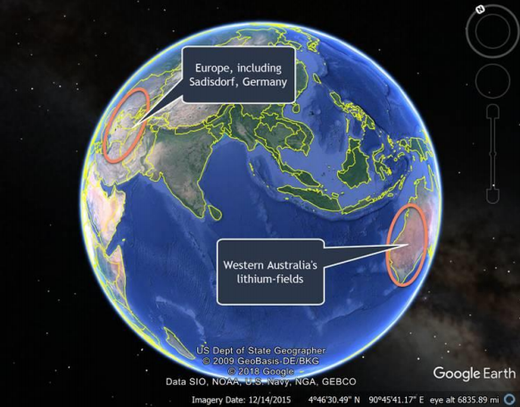 These include lithium mica deposits in France and Germany, and two deposits located in WA’s Eastern Goldfields. Substantial bench-scale and pilot plant trial test work has been undertaken on the Lepidolite Hill deposit (80% Lithium Australia, 20% Focus Minerals). To date, however, far less test work has been undertaken at a second deposit that has been called Waste2. Laboratory tests have shown that the metallurgical characteristics of concentrates produced from Waste2 vary from those of other micas tested. That variation is a consequence of the fact that Waste2 concentrates have a higher ratio of muscovite (a common mica devoid of lithium) and lepidolite (a common lithium-rich mica). Data acquired during the test run will be used to finalise FEED criteria. The Waste2 concentrate has the following chemical composition, expressed as a weight %. The concentrates generated from Waste2 will be tested in a SiLeach® pilot plant located within the ANSTO Minerals facilities at Lucas Heights in NSW. The pilot plant is configured for operating conditions that reflect those of the latest SiLeach process, which includes recovery of lithium by way of phosphate precipitation. The pilot plant run is set to kick off in early August. The aim is to produce lithium products to commercial specifications, using the data obtained during the test run to finalise FEED design criteria.